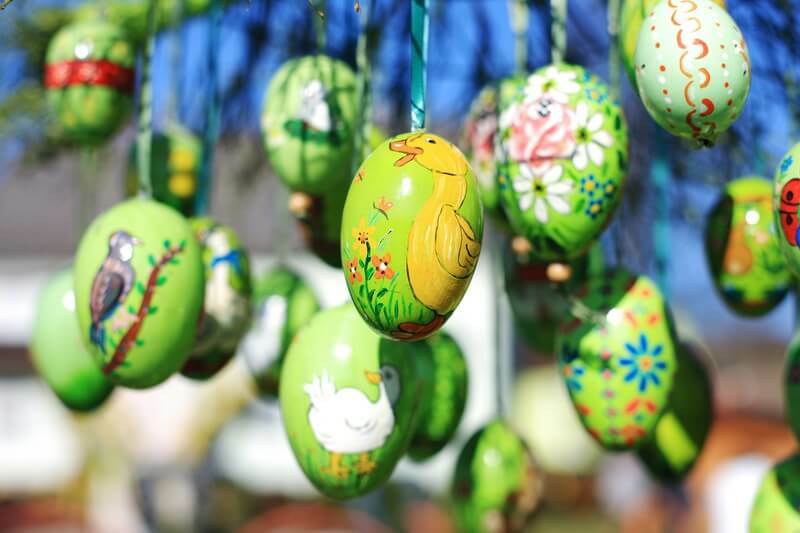 Easter is all about celebrating life, welcoming spring on a happy note with DIY outdoor Easter decorations that make your home look and feel festive, and full of positive energy. Bright bold hues, innovative decor ideas, and fun decorations don’t just make the kids go wow but grown-ups too. Even the Easter bunny is impressed with your efforts. Continuing with what we said before, this sacred holiday is all about being cheerful and thankful for the miracle called life! 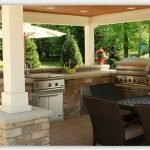 As we bring on the spring cheers, Easter generally becomes our first excuse of the year to entertain outdoors. The weather is perfect and the occasion is festive. One can’t imagine Easter without vibrant DIYs. 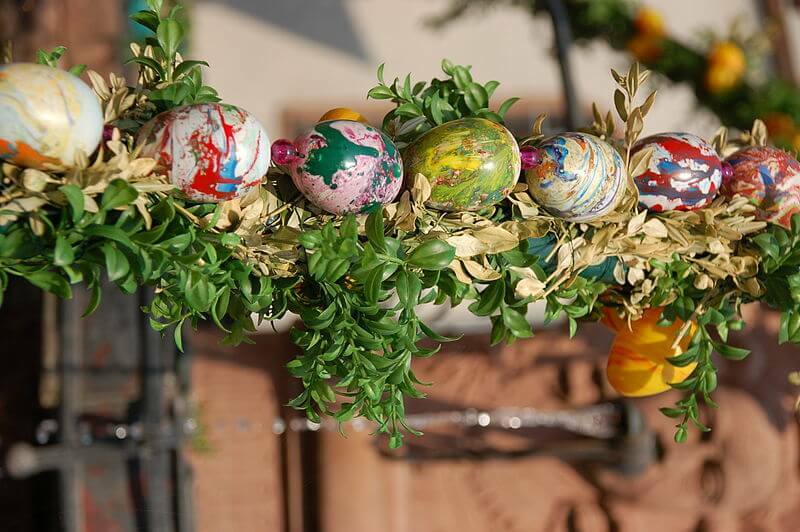 These handmade outdoor Easter decorations beautify your home and how! And, they are quite easy to create. 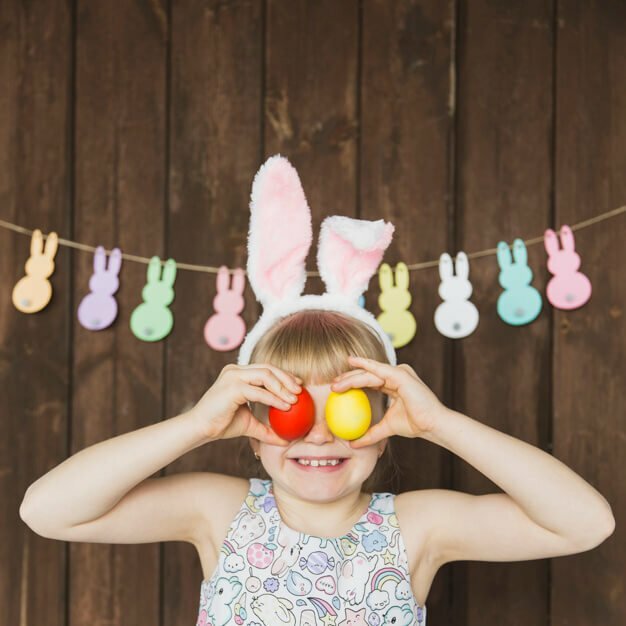 Ordinary eggs become beautiful art pieces, banners, ribbons, and balloons steal the children’s hearts, brunch table settings are brought to life with immaculate detailing, and Easter wreaths happily welcome loved ones to your home. Therefore, let’s begin by making your yard the prettiest one in the neighborhood. Here are 21 great decor ideas for your home this Easter. Easter is here and you would love to welcome your guests for a jolly get-together. 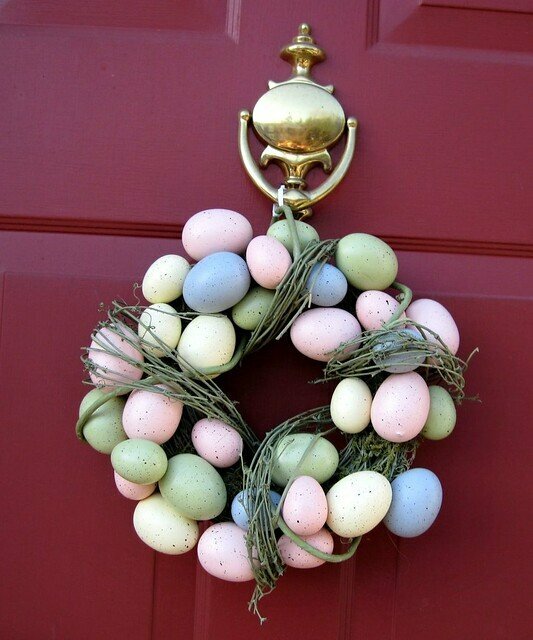 This DIY wreath with eggs is perfect for your front door. And, it’s quite easy to make too. Just glue together the pastel-colored eggs with real twigs and shape it like a wreath. Simple and effective. We love this idea. Take a few eggs (you may choose real or plastic ones). Handpaint them with different designs in shades of blue. And then bunch them together like a bouquet. Here’s a not-so-secret tip: use foliage or real shrub for the core support. You may use super glue or tape. Take a matching cloth and make a bow at the end of the flower arrangement — and you are done. A little time-consuming, but, the final look of this decor will make your guests fall in love. This idea is so easy that even children can help you create the most perfect outdoor Easter decorations. Take colorful chart papers and cut out rabbit shapes. String them together to make banners and hang them in your front porch, against a fence, or anywhere in your yard. Now, here’s a decor idea that appeals to grown-ups immensely. To plan a perfect Easter brunch with your friends and family, you need to enliven your outdoor dining table with careful details. We love the yellow daffodil in eggshells, pink and white pastel table settings, and stemless wine glasses. Notice how the folded napkins look like rabbits. How amazing is that? You have guests, and enthusiastic children, over and want the perfect seating for them, right? Reclaim your old furniture and color them in pastel hues. Purple, blue, orange, or yellow — your choice. They will add to the Easter spirit and make your yard look festive and cheerful. This is an awesome centerpiece for your outdoor Easter party. It does need a lot of planning and effort but just look at the end result! 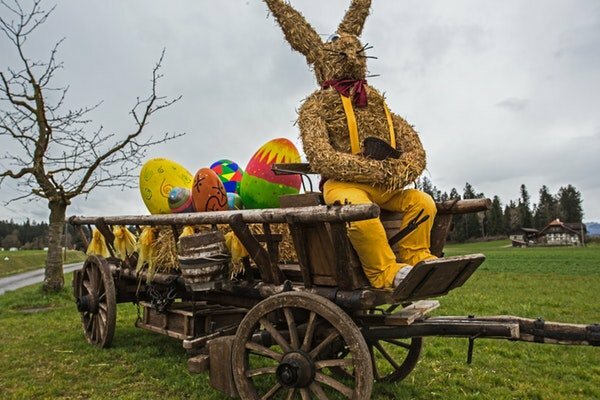 A straw bunny sits smugly on a cart that carries colorful Easter eggs. Right from the clothes to the red bowtie, we love everything about this bewitching character. These decor items are easy to make and look bright. Just take eggs (since these can be reused, we would recommend plastic ones) and wrap them in wicker with glue. You may also use colored wool. Leave the end of the string and make a loop. Create about two dozen of these and hang them throughout your yard. What are the figures that come to your mind when you think of Easter? Farm animals, Easter bunny, eggs, lollypops, chocolates, and candies, right? Well, be creative and paste their cutouts at the end of straws, ice cream sticks, or wooden skewers and make your own stick puppets. Insert them in pots or on the ground. These cute jute bags make for the perfect decor for your garden party. Check out the colorful cloth patchwork on them. Here, the words are arranged to spell out hip hop but you can have other interesting anecdotes. If you’re unable to sew these eco-friendly bags, you may use superglue to put them together. 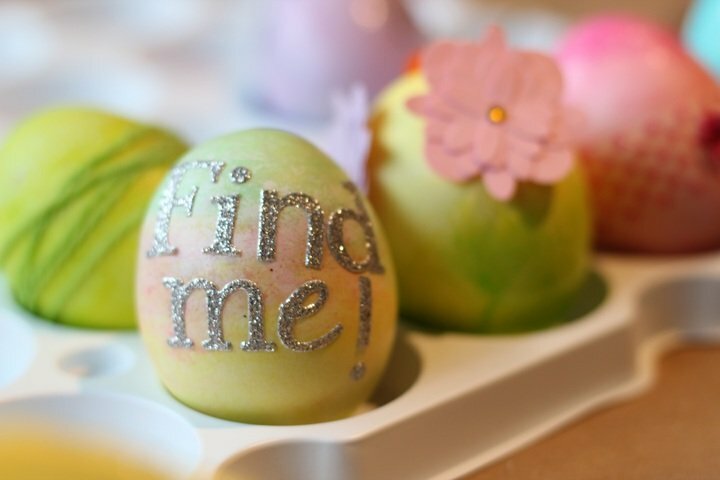 Is it time for your famous Easter egg hunt game? 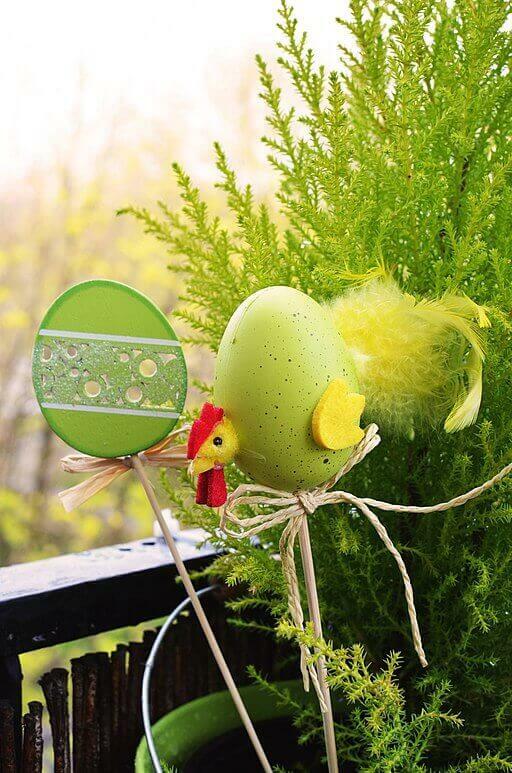 Decorate eggs in a myriad of creative ways and hide them in your yard strategically. Children (and adults too) love to look for these colorful eggs. This game is so much fun with everyone trying to find as many as possible. It’s as if they are looking for happiness at every corner. That is the true spirit of Easter, isn’t it? 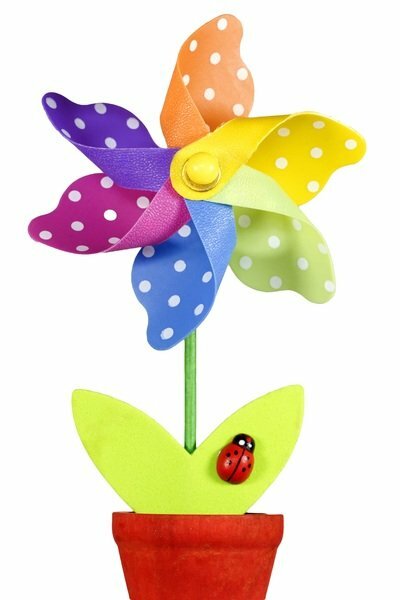 Use colorful foam sheets or craft paper to make these amazing flowers. We love the creative design. It reminds us of a mini windmill. And, don’t miss the ladybug! Make at least a dozen of these and place them in small pots. Arrange the bright decorations in your garden and enliven the whole area. This egg basket is perfect for your outdoor get-together. 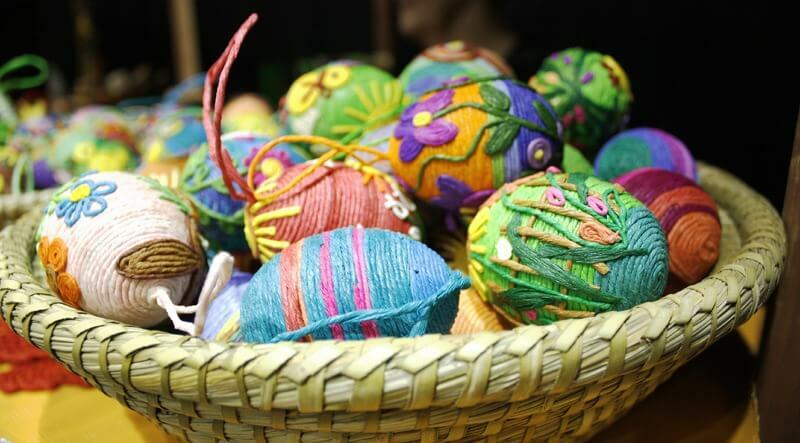 Paint the eggs in metallic colors and place them on a bed of straw in a basket. This arrangement is the quintessential Easter decor. The best part is, it doesn’t require too much effort. 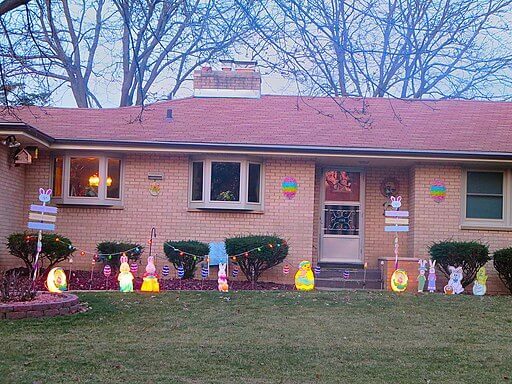 Now here’s another superb idea for your Easter decor. Let your imagination run wild and paint plastic eggs in ways that suit this festive day. Hang these from the branches of the tree in your yard and you are set. Everyone will go ga-ga over this simple DIY project. Our guarantee. Make a twine with leaves, twigs, and of course colorful Easter eggs. You can place this arrangement on fences, walls, and also your front gate. It’s Easter and more decoration is still less. So, happily go overboard. Easter gives you the perfect excuse to become a kid all over again. Here, we love the fairy lights, the lit Easter figures, the colorful wall decor, and the posters. Together, they symbolize the true spirit of Easter — spreading cheer and happiness all around. If you are a carpenter at heart, this DIY is for you. 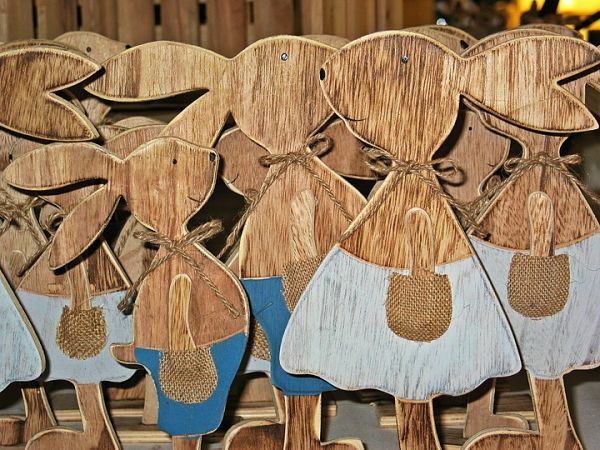 Easter bunnies carved out of wood! Simple painting with watercolor and innovative usage of jute pieces — and your creation is ready. Place these boards strategically all over your yard. 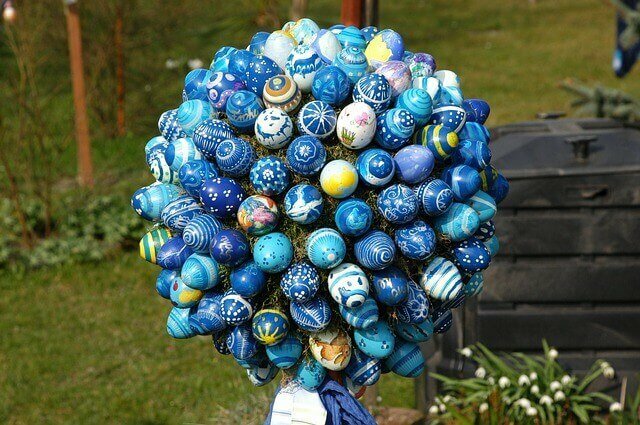 Again an awesome, and eco-friendly, outdoor Easter decoration that is sure to leave your guests spellbound. What is Easter without colors and ribbons? 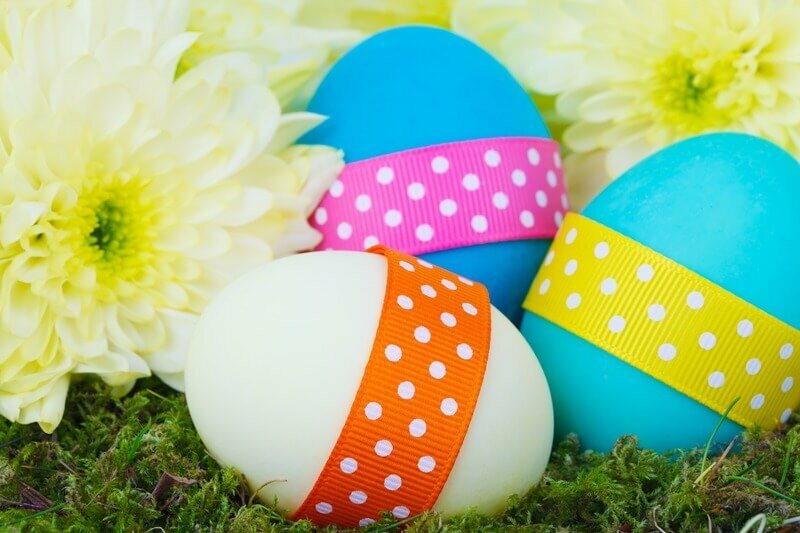 Paint eggs in different hues and use bands of ribbons to decorate them. This is a quick and easy DIY that can be done with the help of your kids. Sometimes, the simplest ideas are the most popular ones. We can’t fathom a great Easter decor without balloons. They are cheap, they are fun, and effortlessly brighten up any space. 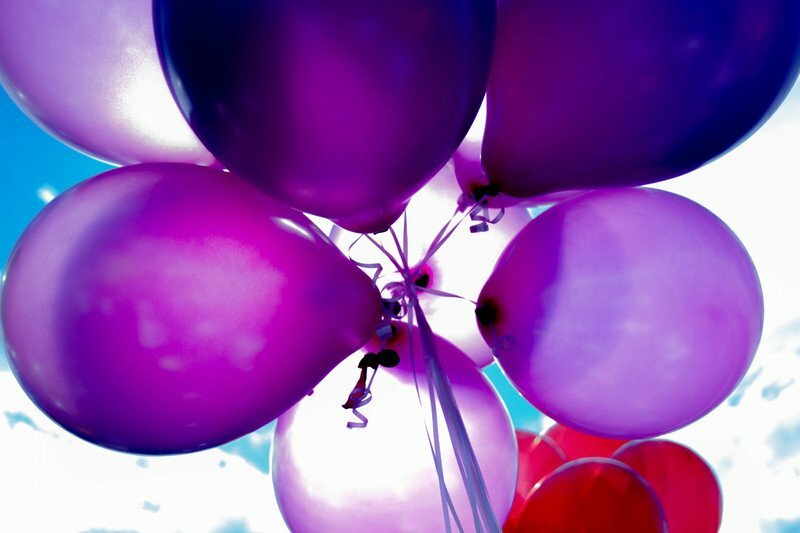 Bunch up pastel-colored balloons together and get ready to make your yard look festive and cheerful instantly. Look at these chicks made out of paper and fall in love. They are easy to make too. All that is needed in this DIY artwork is some colored paper and tons of creativity. 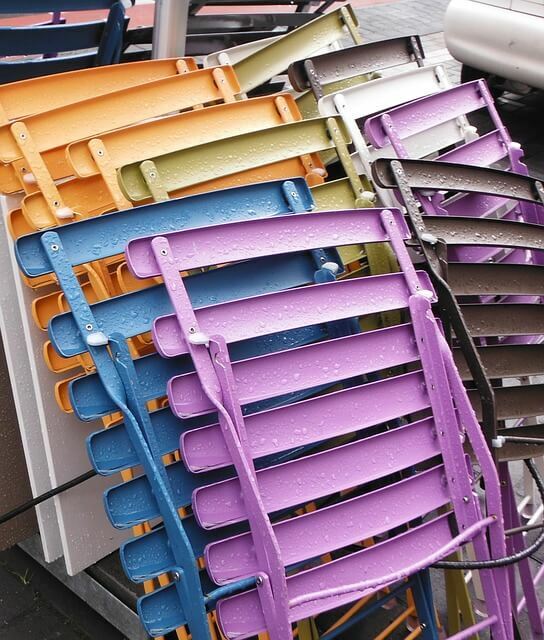 Create your own masterpieces and decorate your outdoors in a fun way. It’s a sure-shot way to woo your little neighbors. Here’s another Easter decor that calls for creativity. If you lack in that department, don’t worry. Just take tips from this ingenious idea. Paint the eggs in metallic colors. Take a black marker and go crazy with fun designs. Place them in napkin holders and set them wherever you please. It could be atop your dining table or even next to your snack platter. What’s Easter without chocolates? And, when it comes to beautiful-looking and delicious chocolates, we don’t mind referring to them as important (and indispensable) decorations in our Easter festivities. 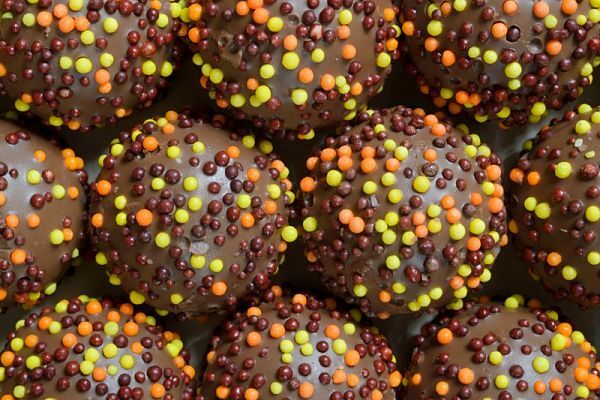 Chocolate balls with sprinklings, Easter eggs, or animal-shaped — this sinful treat is a must. Place the homemade deliciousness on platters and watch your guests make a dash for them. Trust us, Easter happiness will be quite palpable. 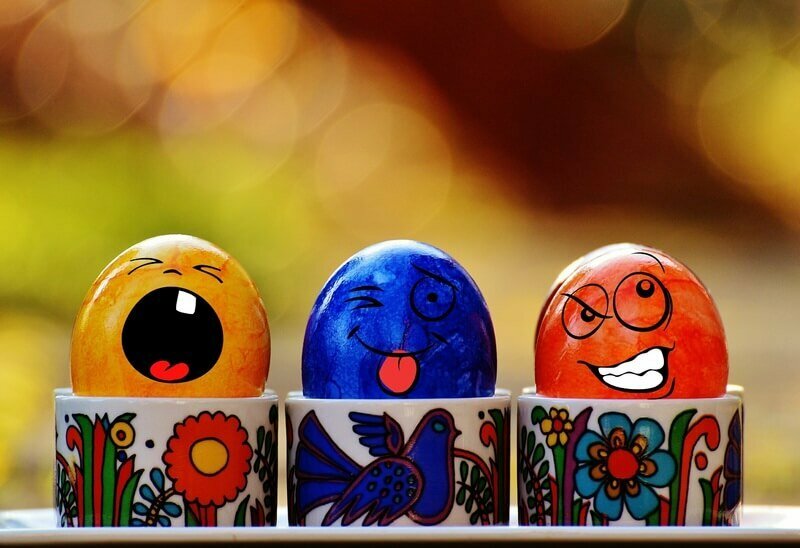 Easter is all about celebrating life in a fun and simple way. It symbolizes the sentiments and the excitement that marks the resurrection of Christ, and the beginning of spring. We hope this article, with some of the most amazing Easter decor ideas, inspires you. 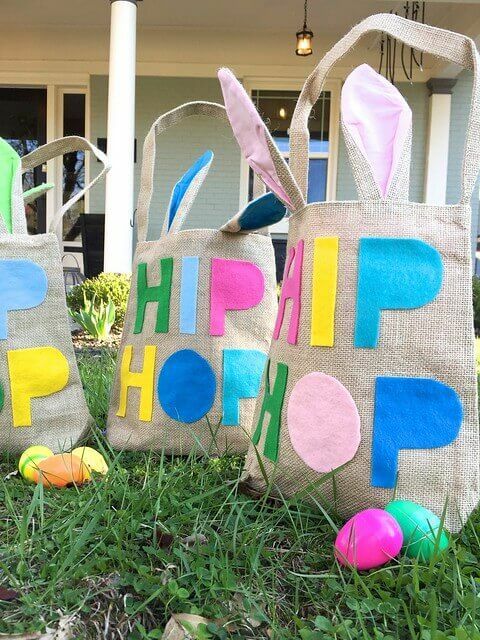 Brighten up your front porch, yard, doors, and windows with these festive and creative DIY outdoor Easter decorations. A friendly warning though: your guests will want to make your house their annual Easter party haunt after seeing your festive efforts.